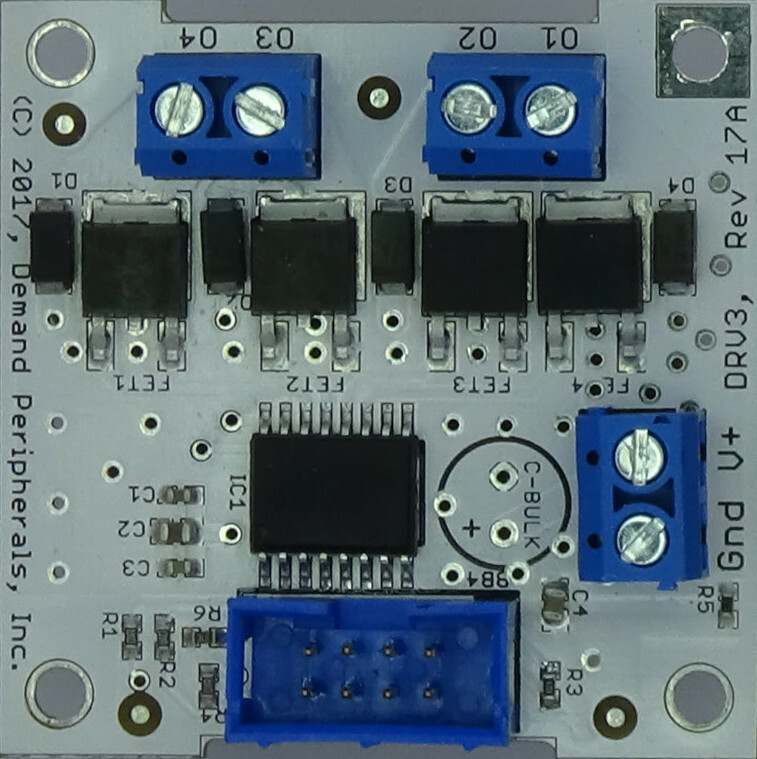 The Quad Open-Drain Driver card (DRV4) has four independently controlled high current NFET transistors. Each transistor has a back EMF protection diode. Each channel can handle up to 15 Amps of of current but the total board current is limited to 15 Amps as well. The DRV4 card is often paired with the "out4" peripheral and driver, or the unipolar stepper motor periperal ("ustep"). It is also sometime paired with the PWM output peripheral and driver in order to control the intensity of four strings of high current LEDs. The schematic and layout of the DRV4 are shown below. 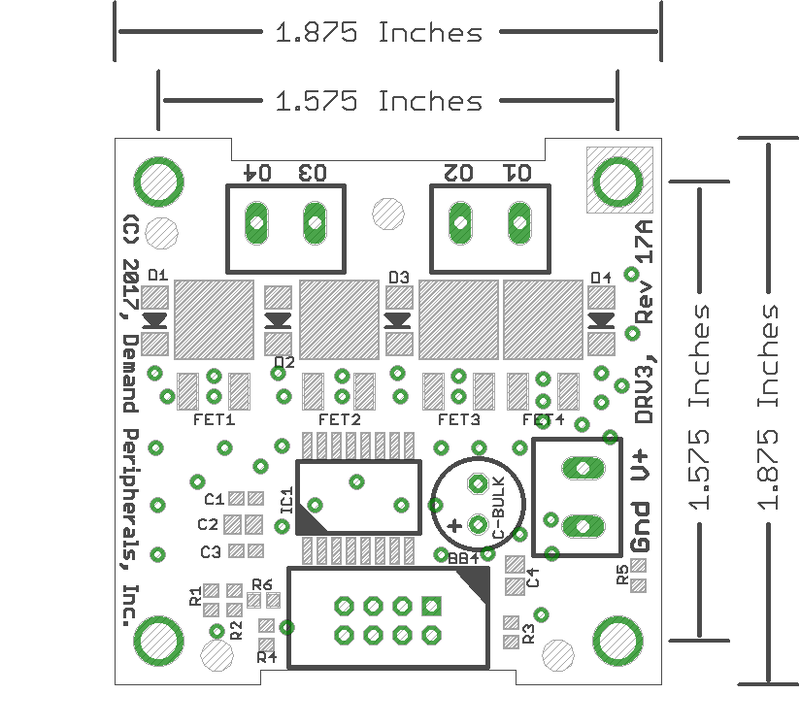 The Eagle schematic and board files are available here: drv4.sch and drv4.brd. The bill-of-materials is available here: drv4.txt.